Who Funds Rick Berman’s Dark Money Group, the “Center for Consumer Freedom”? 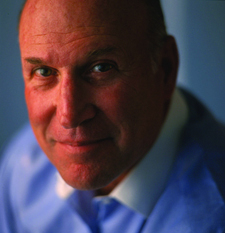 Rick Berman, the D.C. beltway corporate lobbyist who revels in the nickname “Dr. Evil,” is at it again, this time defending a dangerous New Hampshire “ag-gag” bill that would block the ability to build solid court cases against animal cruelty in commercial agricultural operations. Berman also penned an opinion piece in the Boston Globe opposing the “Prevention of Farm Animal Cruelty Act,” a bill that would require federal agencies to buy food products only from farms that raise animals free from cruelty and abuse. Aside from the underlying question of why the Boston Globe would print anything by Rick Berman, a corporate sell-out who lacks completely in credibility, why does Berman persist in supporting something as distasteful and horrifically unpopular as animal abuse? Berman operates the Center for Consumer Freedom (CCR), an industry-funded front group that relentlessly attacks do-good organizations like the Humane Society of the United States (HSUS), People for the Ethical Treatment of Animals, Mothers Against Drunk Driving and the Center for Science in the Public Interest. Berman uses over-the-top rhetoric, calling people who research and expose the causes behind obesity “food control zealots.” He uses hyperbole and slippery-slope arguments, saying animal welfare groups like the Humane Society are “fighting to get rid of every dairy, pork, egg, beef, veal, and poultry farm across America by increasing the cost of production and hence increasing the price of food.” Hogwash. Whenever possible, HSUS works with commercial ag operations to reduce animal abuses like tail-docking of dairy cows and confinement of animals in horribly small spaces. The groups has been successful in doing so, but does pursue legislation to protect animals, too. Berman supports animal abuse, obesity, drunk driving and other social ills because big corporations pay him a fortune to do it so they can stay in the shadows and avoid public backlash. After all, how many people would continue to buy Tyson chicken if they knew the company was working to preserve cruelty against chickens? Berman soaks up the corporate largesse that has given him the good life. He lives in a 8,800 square foot mansion in tony McLean, Virginia, and has to choose between driving his Ferrari or his Bentley to work. These days, like so many other dark money groups, Berman refuses to disclose his donors, saying doing so would aid backlash against the corporations. No doubt. Knowing who is paying to spread a message is the very idea behind transparency and its value to a democracy. But Berman doesn’t believe in transparency. Neither do his corporate backers. So Who Funds Berman’s Attack Machine? I’m all in for consumer freedom to make their choice. That isn’t the issue, it is clear that like those who fund this bias organisation, their real motives as Mr. Berman is but one thing, MONEY! It is them making as much money as they can, without any real care for the customer. The fact is consumers should have the right to make a decision for themselves, but based on open and honest facts. This organisation does not represent consumer freedom, it represents the companies who want to keep the consumer in the dark and prevent them from obtaining full information to make an educated, informed decision based on real fact,not marketing BS. If this organisation were actually standing up for consumer freedom, Mr. Berman would be lobbying for for products to be fully marked with all information. An example, I want the consumer freedom to decide whether I purchase GM foods (AKA Frankenstein Foods)or chose to spend my money on natural foods, grown from unmodified seed. This organisation would seek to block that information being mandatory, because it represents not the consumer, but the corporations who supply GM seed. So, in effect the name of this organisation is at best misleading, propaganda, really in my option, a lie. They really seek to keep the consumer in the dark, fed the rubbish that those who make millions from consumer ignorance and whom are often being seriously harmed by consuming such as food that is unhealthy. The organisations do not give Berman these large sums to promote consumer choice based on the negative facts about their product, it is give purely to further their cause of taking the consumer for a ride. As a former employee of Mr. Berman’s for nearly three years, I can attest that he is one of the most hard working and sincere businessmen I have ever met. To say that he supports animal abuse, drunk driving, and obesity is not only false, it’s an outright lie. Sure, the food and beverage industry has supported his endeavors, but what certainly protects their bottom line also mirrors sincere principles shared by millions of Americans who support consumer choice free from government entanglements. People thought we were silly predicting soda taxes and restrictions a decade ago, but we saw the writing on the wall. The public needs to better understand the threat to liberty posed by increased government involvement in our consumer freedoms and learn the scary truth about radical animal rights orgs that prey on fear and emotion to advance their disguised-as-mainstream agenda. And it’s not a lie that CCF wants to maintain donor anonymity for safety (among other reasons). My coworkers were threatened (and even chased!) by animal rights activists. I could go on and on, but wanted to at least let you know that your article doesn’t accurately portray Mr. Berman’s nor convey the public good and education that CCF provides. Thank you.